It starts with a vision. It happens with a plan. Life is constantly changing. ARGI’s dedicated teams of professionals help our clients to adapt and prosper. For us, there is no greater feeling than helping to ensure the success of our clients through integrated financial services. To learn how we can help, please contact us to request a complimentary consultation. Our primary function is to educate our clients. We take our job as our client’s trusted advisor very seriously. We regularly review and improve our communication process so our clients can receive the best service we can give. * None of these awards are based on investment performance in any way. ARGI was established in 1995, under the name R.D.B, Inc., a franchise of American Express Financial Advisors. In 2001, R.D.B., Inc., was renamed Advisor’s Resource Group, Inc. In 2003, ARGI separated from American Express, teamed up with independent broker dealer National Planning Corporation, and began using the name ARGI Financial Group, which became the official name in November, 2005. In January 2010, ARGI Investment Services LLC officially became a SEC Registered Investment Advisor. This decision was made in accordance with our firm’s philosophy of striving to provide objective advice. Our recommendations are always based on our clients’ best interests, never on commissions or product trends. Today ARGI has grown to over 130 employees, and we have expanded our services to include tax, business management and accounting, insurance solutions, corporate education, and retirement plan services. We have also opened additional branches outside our home state of Kentucky, serving clients across the country. 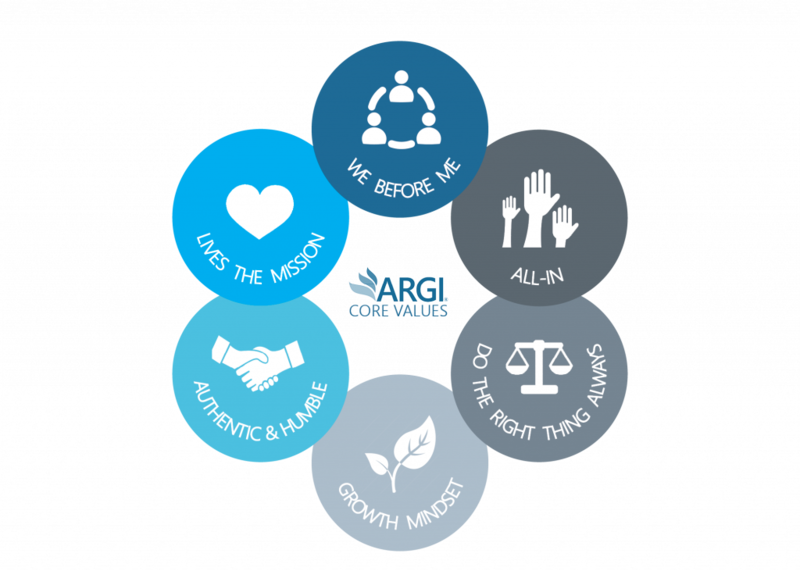 For over two decades, ARGI has embraced the same values and has provided its clients with prudent advice, combined with dedicated support and execution.